Free Group Runs, Sponsored Events & Friends and Family Weekend! It's Thanksgiving week! 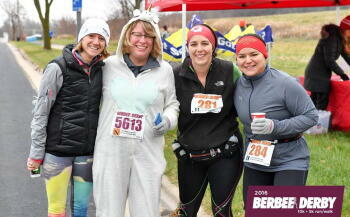 We hope to see you for a few miles at our group run or we will see you bright and early at the Berbee Derby. Shop with us this weekend for our Friends and Family Event! Thur Nov 22: Happy Thanksgiving!- Our stores will be closed- Join us at the Berbee Derby:Thursday morning No Pub Runs Thursday evening.